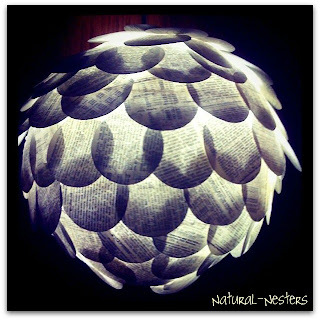 So I made this wonderful hanging lamp this past summer and wanted to share it with you! 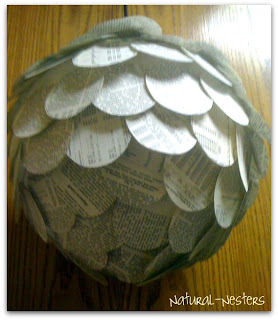 It is so easy to make and is so fun to see hung up in your home, office, or in my case my closet! So this summer, I got out the old book that I keep handy in case I get inspired to do any fun crafts with book pages, and tried to think of the best way to cut out all these circles...and lets just say that my way was probably not the best, or easiest :-) I looked for a dye-cute at Hobby Lobby but only found small circles. So instead, I cut the size of circle I wanted out of a piece of card board and improvised. I traced as many circles on one book page that could fit, and then cut them all out. 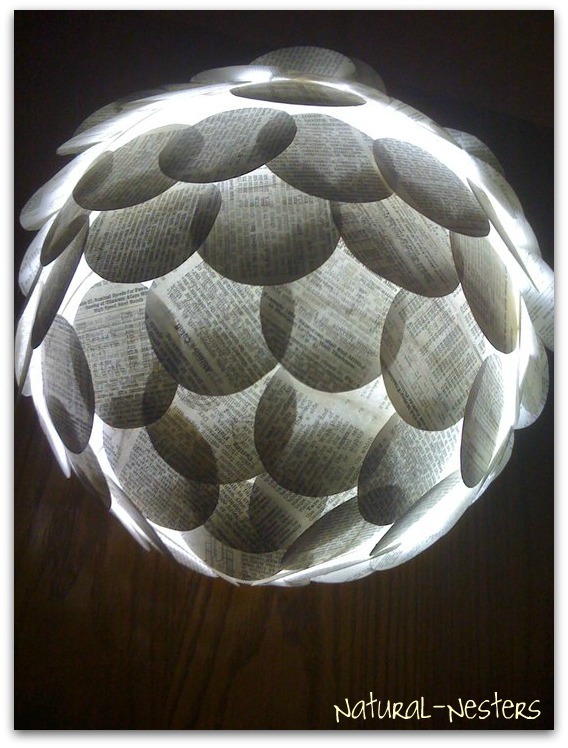 I wish I knew how many circles I cut, and I mean I guess I could just count them, but I haven't, and since I kept adding more to fill in the gap, I have no idea how many circles made up this lamp. Anyways, then I took an old Japanese paper lantern that I had and began hot gluing the circles on. This part was very simple, you just glue them on from the bottom up. Then once you finish you can go through and fill in any holes that you see. This is what it looks like with all of the paper circles on it! Then I took my hanging light bulb that fits into the lantern and here is what I got! I absolutely love my homemade hanging lamp! It hangs in my closet...which is actually like my own little mini private room, and it is so fun! Hope you enjoy this! I will be linking up to the parties on my right side bar. Also don't forget to follow us on FACEBOOK!